Place cereal in food-storage plastic bag; seal bag and slightly crush rolling pin or soup can. 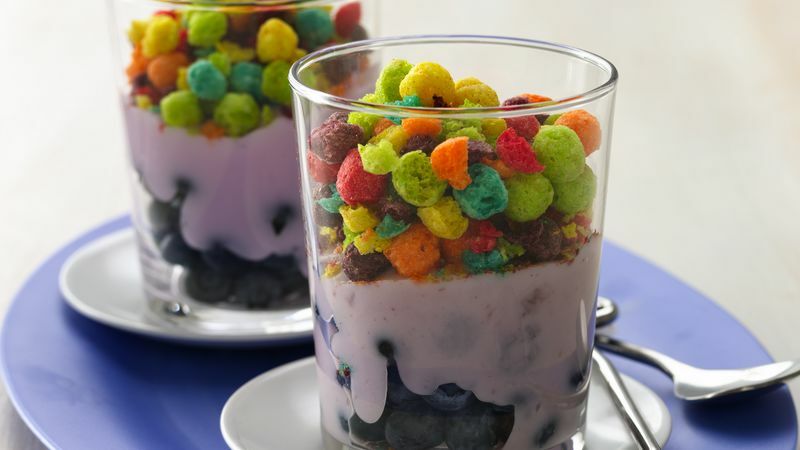 In each of 2 (8-oz) parfait or drinking glasses, layer half of the berries and half of the yogurt. Top each parfait with half of the crushed cereal. Serve immediately. You can use 1 (6-oz) container of any berry flavor Yoplait® Original 99% Fat Free yogurt instead of the mixed berry yogurt.